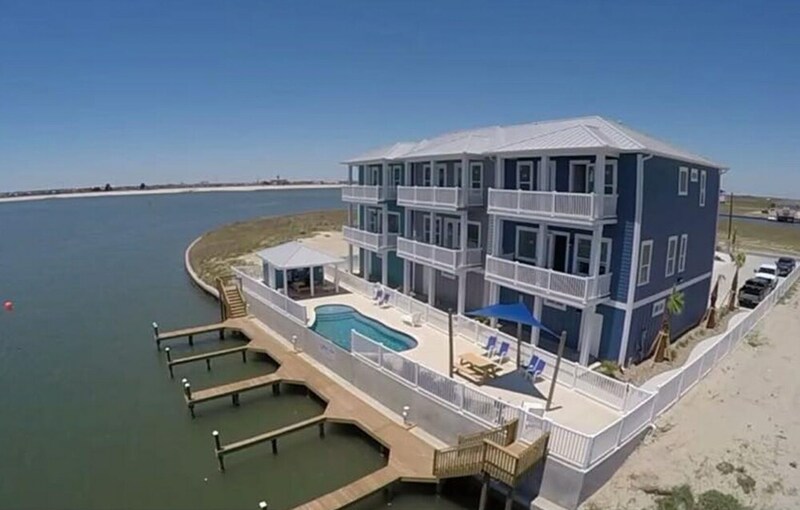 This vacation home is located within a few miles (5 km) of Schlitterbahn Waterpark Corpus Christi and Bob Hall Pier. The vacation home includes a kitchen, a balcony, and a living room. The vacation home is air-conditioned and features a kitchen, 3 bathrooms, and a balcony. There's space to spread out with 4 bedrooms, a living room, and a dining area. Other standard amenities include a washer/dryer and a coffee maker. At this vacation home, guests have access to barbecue grills. The nearest major airport is Corpus Christi, TX (CRP-Corpus Christi Intl. ): 30-min drive, 25.1 mi/40.4 km. La Quinta by Wyndham Corpus Christi-N Padre Isl. Bottom Level Canal Water Front Home With Boat Dock & Extra Parking! 4/3 With Ocean View. Private 6 Person hot Tub!